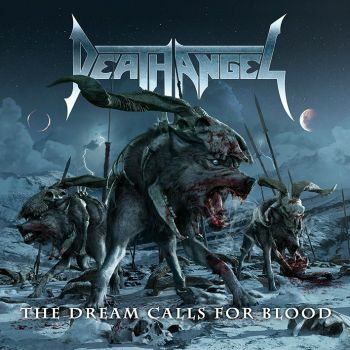 DEATH ANGEL - THE DREAM CALLS FOR BLOOD (CD) | Online Shop | Wizard LTD. Album: "THE DREAM CALLS FOR BLOOD (CD)"
- NUCLEAR BLAST SPRING 2019 CAMPAIGN! ЕДНОКРАТНО НАМАЛЕНИЕ!! СЛЕД ИЗЧЕРПВАНЕ НА ОПРЕДЕЛЕНИТЕ КОЛИЧЕСТВА ЦЕНАТА СЕ ВРЪЩА НА СТАРОТО НИВО! Parallel to sharing stages with all the greats of their genre, DEATH ANGEL fulfilled further career aims through the geographical extent to which they took their uniquely charmed and measurably melodic form of expert and experiential thrash.